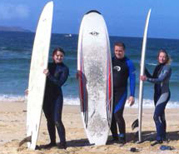 Surf the Hebrides with quality tuition from an experienced and knowledgeable instructor. Your main instructor, Derek Macleod, then a very young skipper fishing the North Atlantic, Minches and the waters to the West of the Hebrides with his own boat, took up surfing as a hobby in the late ‘80s, introducing the sport to the Isle of Lewis. He opened his surf shop in Stornoway in 1994 and after successfully completing courses in Sea Survival, Beach Lifesaving, Advanced First Aid, Parascending Boat Skipper & Instructor, began equipment hire and offering surfing tuition in 1996. 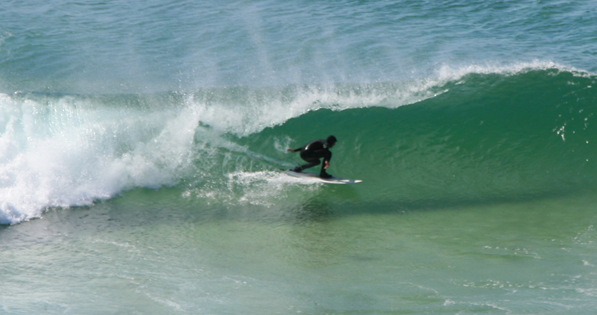 For the past 18 years he has taught all age groups to surf safely in the often challenging conditions of the Hebrides. As proprietor of “Welcome In Filling Station/Convenience Store” he is now based on the West Coast of Lewis, close to the popular surf beaches and breaks – escape to the surf, be safe and have fun with the experienced personal touch.